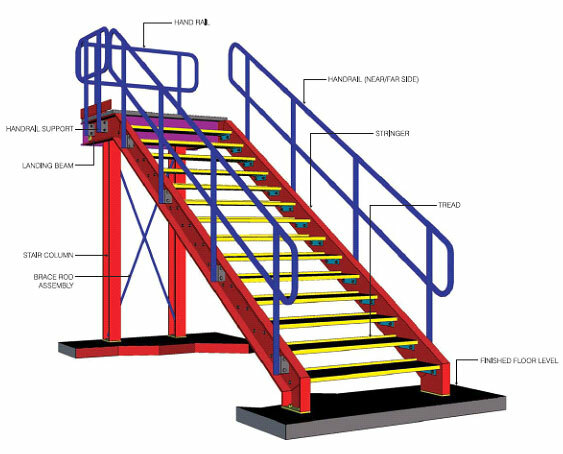 DPEB Steel's staircases are designed to be firm and rigd. 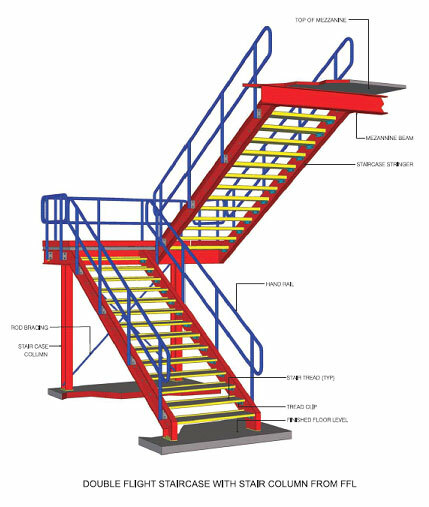 They can accommodate checkered plate, grating or concrete filled pans as stair treads. 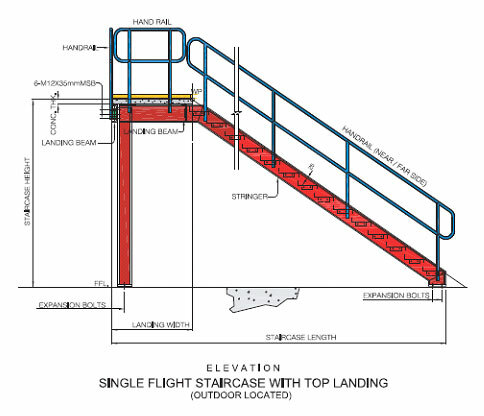 The standard staircase is a double flight staircase with an intermediate (mid) landing. The main structural members are shop assembled to facilitate erection. 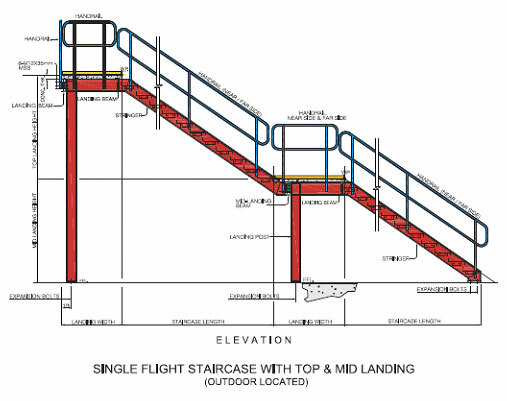 This leaves only the simple task of connecting the main members of the staircase ot the floor framing, attaching the selected type of stair treads and installing the handrails. The paint applied to staircases match the paint specified for the primary members of the structure.